A annotated bibliography for history research shows sourcing, contextualizing and corroborating, the thinking skills used by historians. Critical annotations are an intellectual roadmap of your thinking. They support your reasoned interpretation of the historical record (primary sources) and the scholarly analysis of that record (secondary sources). Once you’ve curated the essential sources in a Chicago style list and completed a rough draft of your paper or project, you’ll begin to write descriptive annotations. These generally include a summary of each source’s content and an explanation of how you’ve used it. Then you will refine these annotations to fit a history paper or project. What expertise or credentials does the author have? What’s the publisher’s reputation? Why was the document written? Is it an eyewitness account or a later analysis of an event? Why did the author choose this format and what’s the point of view? What was going on at the time this document was created? What purpose did it serve? What would a person at that time have learned from it? Where do different sources affirm or contradict each other? Which fill gaps in information? Are there ways to combine them to explain or provide new insight? Which voices are silent or absent? 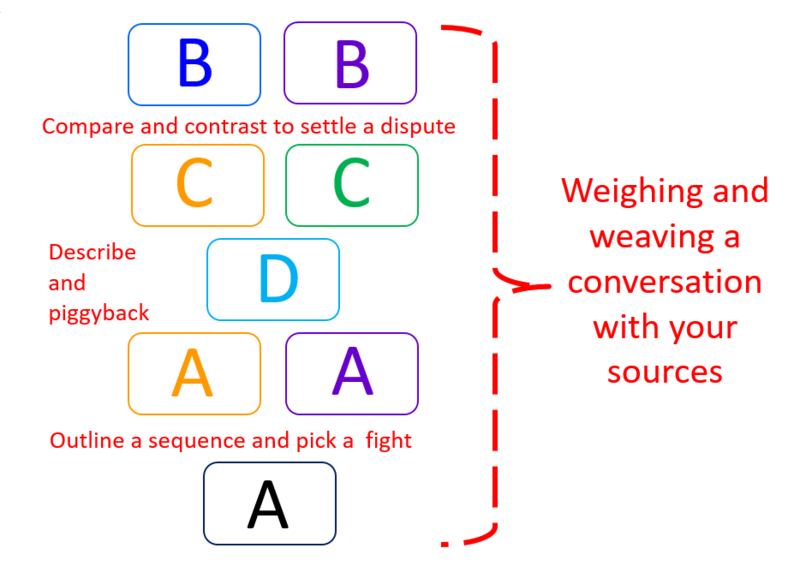 What does sourcing look like in an annotation? For a research project investigating the U.S. decision to drop the atomic bomb on Japan in World War II, the curator identifies relevant credentials, experience and knowledge. 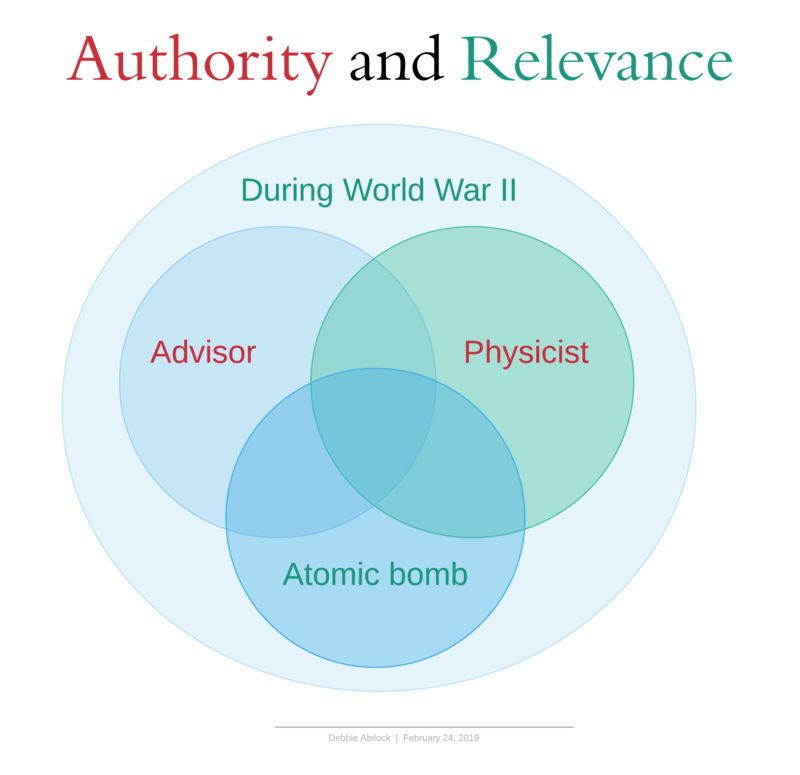 By identifying the author’s knowledge (nuclear physics) and his role as a wartime advisor to the government, the curator has established that the author’s opinions are relevant. Historical sourcing determines how and why a source is a relevant authority for your research. The author's credibility will be determined by comparing his ideas with others. Sourcing also determines where, when and why the document was published — factors that will help contextualize and corroborate the document. WHAT DOES contextualizing LOOK LIKE IN AN ANNOTATION? In this revised annotation, the curator connects the publishing context (purpose and format) to the historical context (press coverage and public opinion). 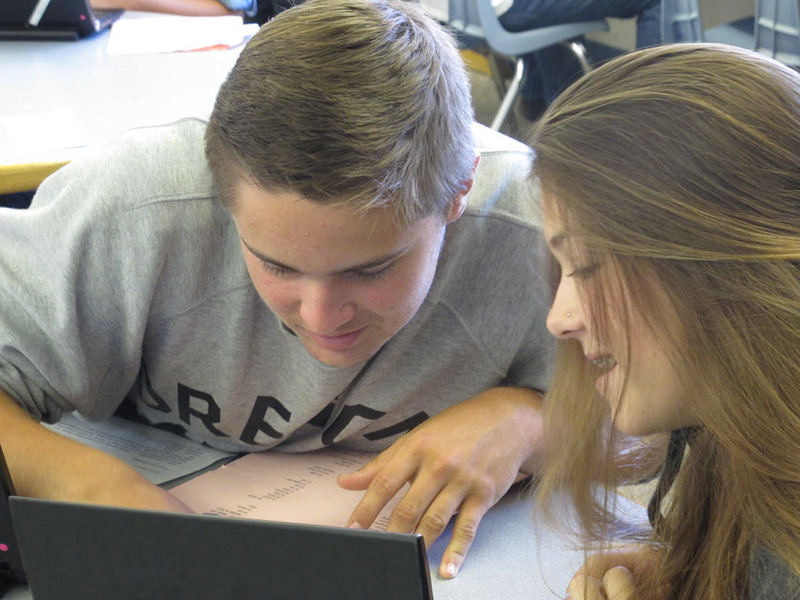 WHAT DOES Corroborating LOOK LIKE IN AN ANNOTATION? In the example below, the curator uses a second primary source’s claim (aqua) to support the credibility of the first. In this example, the curator explains how combined evidence helps strengthens an explanation. The process of corroborating sources adds value to their use (yellow). By practicing sourcing, contextualizing and corroborating in your annotations, you will be able to transfer these discipline-specific thinking skills and methods of analysis into your writing. Your final product will evaluate the point of view of contemporaneous sources, assemble evidence that can be verified, and compare and analyze multiple interpretations in order to develop your own reasoned narrative about the past. Your final paper or project will weave information from your sources to explain why certain events might have happened or people acted as they did, and how that might be relevant today. You are in a dialogue with other historians you’ve read. You will agree or disagree with sources – and piggyback on or refute certain ideas – to create your own interpretation. Your own work becomes part of the historical record.